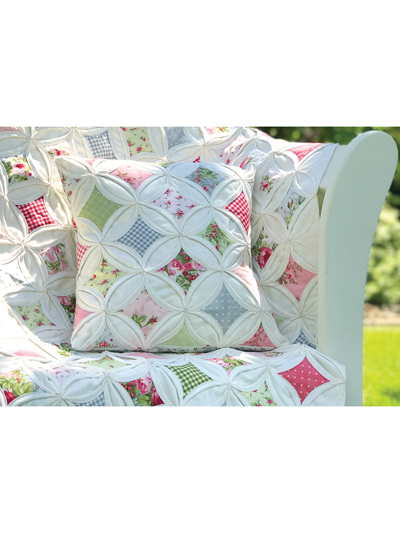 This stunning quilt is sure to wow your friends and family with its intricate and complex look. But it is so much easier than it looks! 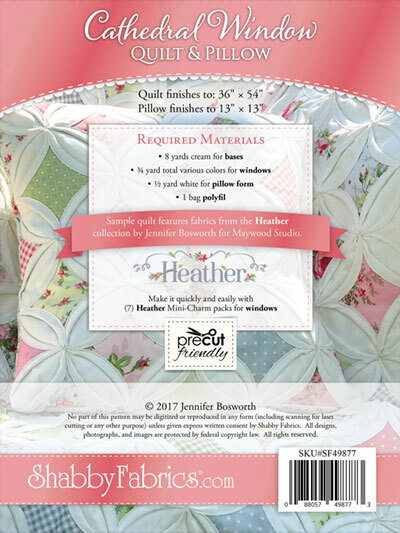 Patterns from Shabby Fabrics. Pillow: 13 1/2" x 13 1/2""
Such a beautiful pattern. Thought it might be too difficult, but after reading the pattern and watching the video, I can't wait to get started. Not a complicated pattern to follow, once the basics are mastered, smooth sailing all the way! A pattern with style and charm. I had a pattern that was totally done by hand and each finished block was all sewn by hand. I'm excited to be able to do on sewing machine and make it go faster.